Instead of just guessing from a wine list, learn how to select Argentinian wines like a connoisseur with a premium wine tasting in Buenos Aires. 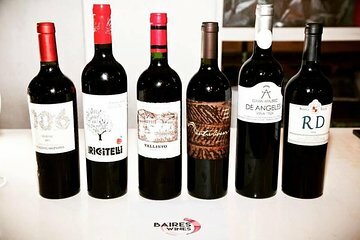 In the upscale Palermo Soho neighborhood, taste five wines representing Argentina’s diverse regions, from Mendoza to Patagonia. A sommelier guide elaborates on each wine’s origin and characteristics, while gourmet tapas are perfectly paired with each pour. This was great experience although for me a little too commercial. I just wanted the wine to be paired with some food while we were tasting. They brought the food in at the last part and when they were finished we had to leave because there was another group coming in.